Claude Dozorme, France’s premiere cutlery company, has been around since 1902, manufacturing their impressive pieces our of Thiers – one of the greatest cutlery capitals in the world. When you’re holding a piece of Claude Dozorme cutlery, you can feel the sheer quality and attention to detail that sets each knife apart from the rest. Each and every individual piece is made using techniques that combine the traditions of over a century of experience as well as more modern technological advances. In short, Claude Dozorme cutlery is among the best, most beautiful cutlery you’ll ever have the pleasure of using. 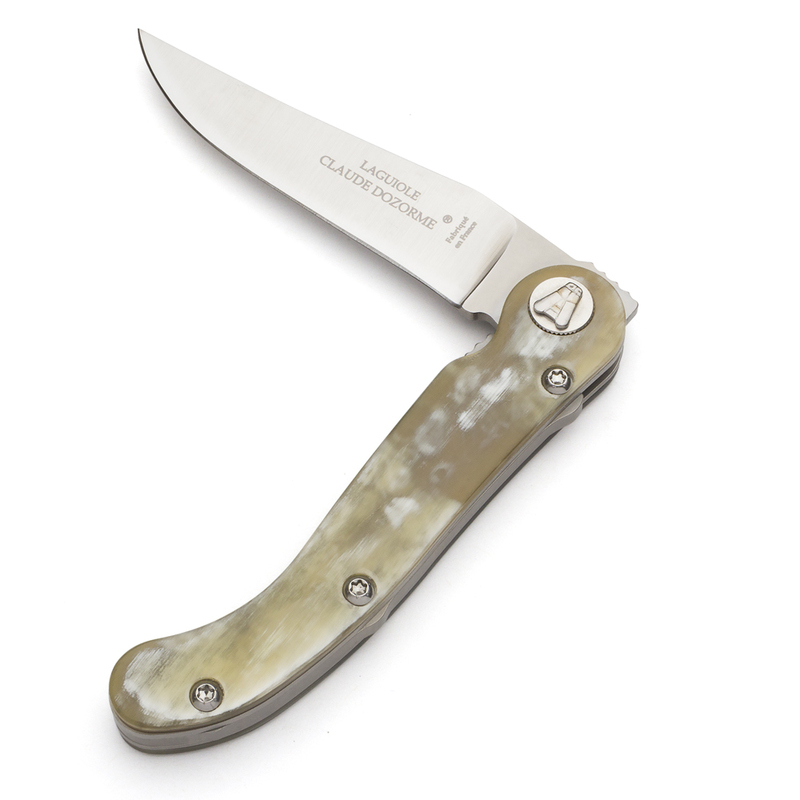 And Claude Dozorme’s collection of Pocket Knives is just as beautifully crafted as their famous tableware. The handles of these stylish, functional knives are carved from light horn, and their stainless steel blades fold open with absolute ease, ready for action at a moment’s notice. Blade made from high-grade stainless steel. Handle made from light horn. Presented in a black Claude Dozorme box.